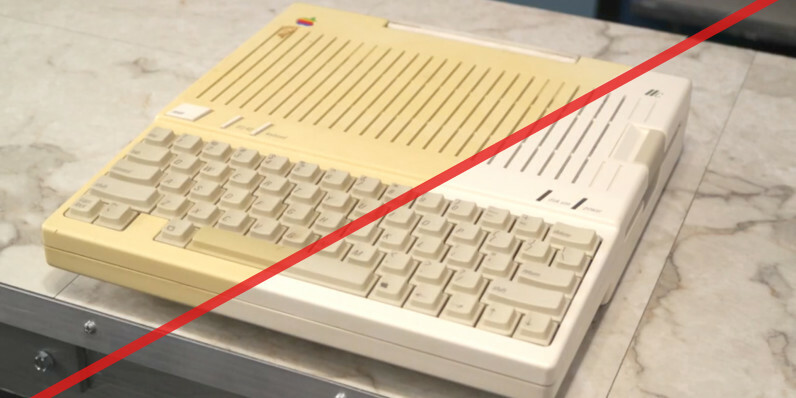 While I doubt ‘Extreme Makeover: Apple Edition’ is on the horizon, you can get your restorative fix by watching YouTuber ‘The 8-Bit Guy’ restore an Apple IIc that certainly looks like it has some stories to tell. This Apple IIc, from 1984, had a whopping 128K of RAM, and featured a platter hard drive that was belt-driven. Surprisingly, it still worked flawlessly aside from a wonky video output. After a quick teardown, a bath in hydrogen peroxide, some soldering and putting it all back together, this early Apple PC looks like a million bucks.